Taking the drug when not prescribed. In larger amounts, more frequently, or for longer than prescribed. By crushing and snorting tablets. By combining codeine with alcohol or other drugs. Difficulty functioning at work, school, or home. Continued use in spite of codeine causing or worsening social or interpersonal problems. Using codeine after it has caused or exacerbated a physical or mental health issue. Experiencing withdrawal symptoms when stopping or drastically reducing codeine intake. Giving up or cutting back on important social or recreational activities because of codeine use. Involvement in illegal activities to gain access to codeine. Spending a lot of time obtaining, using, or recovering from codeine. 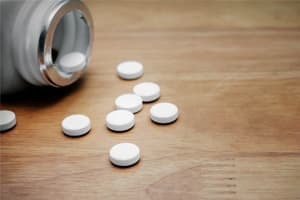 Strong cravings for codeine or other opioids. Strong desires to cut down or manage use of codeine but difficulty in doing so. Taking increasingly larger amounts of codeine or for longer periods of time than intended. Using codeine in potentially dangerous situations. Visiting several doctors to obtain codeine, or getting it illegally. To be diagnosed with an opioid use disorder, you must have at least 2 of the above-listed symptoms within 1 year.7 If you do meet that criteria, it may be a good idea to consider attending a codeine detox facility. Intake evaluation where treatment staff conduct a thorough screening of your medical and psychiatric history, assess the severity and history of your addiction, and identify any other problem areas, such as legal, social, vocational, or housing issues. Drug testing also occurs during the evaluation process, and all of this information is used to determine the best treatment plan for you and to begin developing your aftercare plan. An overview of what to expect during withdrawal is also provided during intake. Stabilization is when facilities use medication-assisted treatment and provide medical monitoring to identify any possible complications so they can address them immediately. If you consent to it, facilities may also involve family and friends as part of a supportive therapeutic process. Transition from detox to ongoing rehabilitation or treatment. While detoxification is an important first step on the road to sobriety, it isn’t a substitute for formal, intensive treatment, which helps patients learn about addiction, identify stressors or triggers, and provide the required tools to maintain sobriety long-term. Inpatient facilities, which provide medical monitoring and care. Medications are used to reduce the length, discomfort, and intensity of withdrawal symptoms. Staff is available to monitor for and treat potential medical complications or mental health issues that can develop rapidly to ensure safety for each patient. Hospital detox facilities can benefit those with concurrent medical or significantly debilitating mental health issues, because of the comprehensive care they provide. Outpatient facilities provide detox services in a relatively less restrictive environment. They are often sought by those who cannot abandon certain daily responsibilities but still need treatment. Those with less severe addictions, stable home lives, overall good health, and a lot of social support are good candidates for outpatient facilities. Random drug tests are given to ensure that they stay sober and take their medications to ease withdrawal. Doctors who are licensed to provide medications out of their offices to facilitate the withdrawal process are another detox option. This is especially helpful for people with short-lasting, less severe addictions who have support in place to help them stay sober. Throughout detox, a team works with you to ease your transition into formal treatment. All treatment programs can provide education about addiction, help you learn about the factors causing your addiction, and help you develop effective relapse prevention skills to sustain long-term sobriety. Inpatient treatment is where you reside at a facility for the duration of treatment. Inpatient rehabs are great options for those who benefit from being distanced from the distraction and potential triggers of a home environment. Residents of an inpatient program have access to medical and mental health services, while undergoing intensive individual and group therapy sessions. Partial hospitalization programs (PHP), which conduct intensive inpatient-style treatment for around 8 hours a day, 5 to 6 days a week. Intensive outpatient (IOP) groups are also intensive, as the name suggests, but may run 4 to 6 hours a day, 4 to 6 days a week. Standard outpatient groups last about 1 hour several times a week (depending on your needs and level of recovery). Luxury treatment provides an exclusive and private residential setting. Specialized staff use cutting-edge treatment to help patients overcome addiction, often combined with alternative therapies and luxurious amenities to further support recovery. Executive treatment specializes in services for business executives. Phone and computer access is provided for work purposes while you receive top-notch treatment. Some facilities include luxury amenities to make you feel more comfortable. 12-step programs incorporate tenets of 12-step philosophy, with relapse prevention techniques and traditional therapy methods to support recovery efforts. Sponsorship, 12-step meeting attendance, and working the steps are strongly encouraged to promote long-term sobriety. Holistic facilities focus on the mind-body-spirit connection. These therapeutic modalities may include hypnosis, meditation, acupuncture, biofeedback, nutrition, exercise, and spirituality. Non–12-step programs are geared toward those who are not religious or particularly spiritual and can incorporate counseling theories, such as cognitive behavioral therapy (CBT), to help you remain sober. SMART Recovery, Women for Sobriety, and Secular Organizations for Sobriety are popular non–12-step groups. Population-specific treatment settings specialize in working with particular groups of people, such as veterans, adolescents, LGBTQ, or male- or female-only clients, who may feel more comfortable opening up in groups of their peers. Each person has different needs in recovery, so working with a treatment team is especially important to help develop further treatment options that best suit your needs. U.S. National Library of Medicine. (2017). Codeine. Mayo Clinic. (2017). Codeine (oral route). American Society of Addiction Medicine. (2016). Opioid addiction 2016 facts and figures. Substance Abuse and Mental Health Services Administration. (2006). Detoxification and substance abuse treatment. Rockville, MD: Substance Abuse and Mental Health Services Administration. Pp 4–5, 13–30, 55, 66–74. Kleber, H.D. (2007). Pharmacologic treatments for opioid dependence: Detoxification and maintenance options. Dialogues in Clinical Neuroscience, 9(4): 455–470.